The architect's intention when designing this contemporary villa was to embrace various functions in one open area, accommodating the various ways of comfortable living, always balancing the different functions of and uses within one open space. 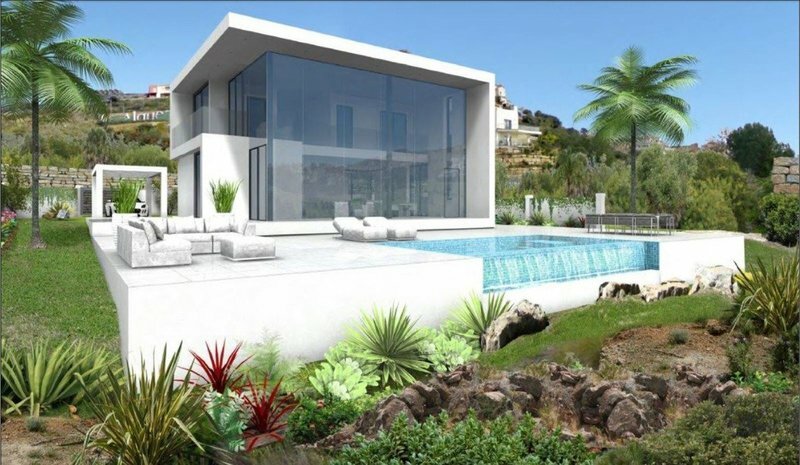 The villa will have magnificent views nestled as it is in a natural environment. 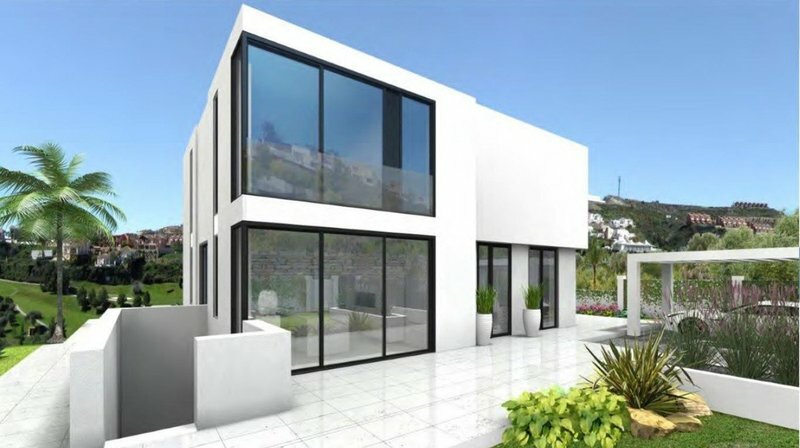 It is situated in the midst of golf courses and open spaces, the Mediterranean and the mountains in the distance, a mere five minute drive to Puerto Banus, Marbella and the beach, an hour away from Málaga airport. 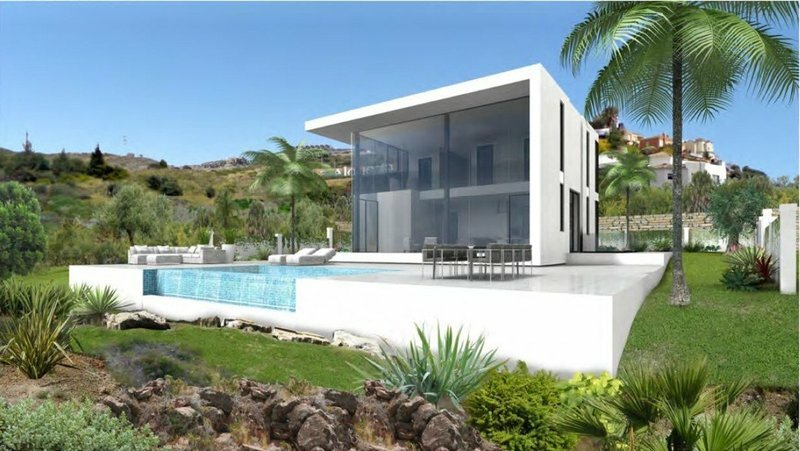 The structure of the villa takes shape symmetrically to form the architecturally interesting interiors and equally exceptional outdoor living areas designed to enjoy the southern climate to the fullest; The large scale glazing and the sliding elements blur the boundaries between outdoor space and indoor area. 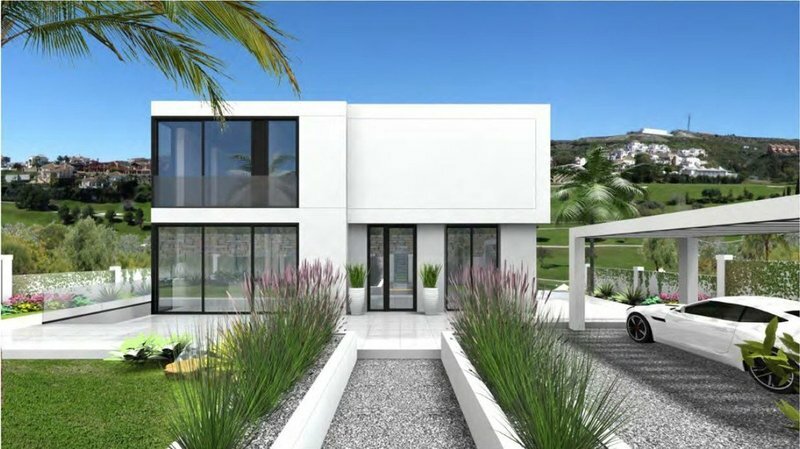 The interior has an open-concept floor plan hosting the lounge, dining area, the fully fitted kitchen four bedrooms and bathrooms, all surrounded by an exterior terrace leading to the pool and garden areas. The huge windows flood interiors with natural light. 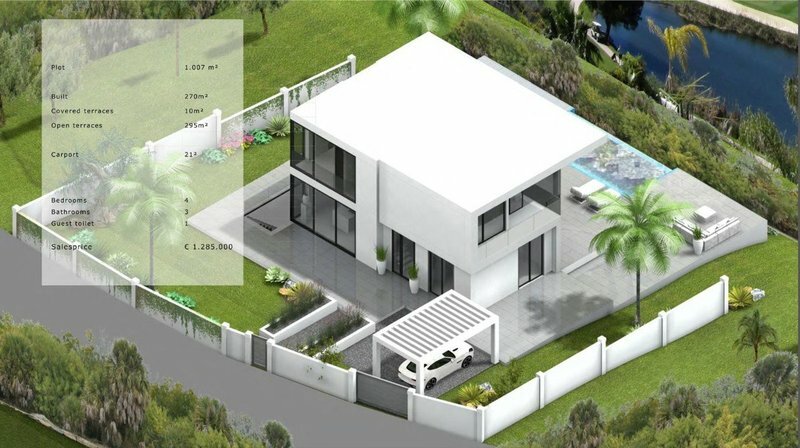 There will be a full solar panel system installed, underfloor heating, air-conditioning built into the ceiling, windows with electric blinds with central control, video intercom, electric entrance gate, home automation / Domotics, alarm, sound system, internet and multimedia. 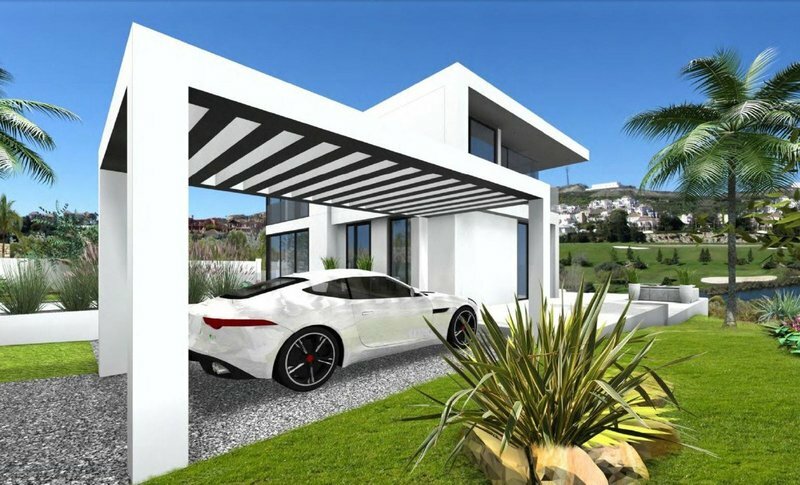 Every plot will be naturally landscaped, fully irrigated, fenced and will have a private pool.